إذا كنت تبحث عن عقار بموقع جيد في المدينة، فقد وجدت ضالتك في كراون متروبول بيرث. لا يبعد الفندق كثيراً عن مركز المدينة، فهو يقع على بعد منها. في حين يستغرق الطريق منها إلى المطار حوالي دقيقة. يضفي محيط الفندق اللطيف وقربه من أكثر المعالم السياحية جذبًا سحرًا خاصًا على هذا الفندق. استمتع بالخدمات الراقية والضيافة التي لا مثيل لها بهذا الفندق في هذه المدينة رائعة الجمال. يمكن للنزلاء الاستمتاع بالميزات التالية: كازينو, مكتب الاستقبال على مدار الساعة, مرافق مخصصة لذوي الاحتياجات الخاصة, تخزين الأمتعة, واي فاي في المناطق العامة أثناء إقامتهم في هذا المكان الرائع. في الفندق غرف نوم يتجاوز عددها 200، كلها مجهزة بعناية وجمال وبعضها مزود بـ تلفزيون بشاشة مسطحة, غرفة معيشة منفصلة, اتصال لاسلكي بالإنترنت, اتصال لاسلكي بشبكة الإنترنت (مجاني), حوض الاسترخاء. إن حوض استحمام ساخن, مركز للياقة البدنية, حمام سباحة خارجي, حمام سباحة داخلي, نادي للأطفال هو المكان الأمثل في الفندق للاسترخاء وتفريغ طاقتك بعد نهار طويل. مهما كانت أسبابك لزيارة المدينة، فإن كراون متروبول بيرث هو الخيار الأفضل لإقامة مثيرة وممتعة. What a magnificent hotel precinct. Everything you want is at your doorstep. The Crown complex is complete in every manner. The room we stayed in for 5 nights at the Metropol was classy - plenty of space, beautiful fixtures and appointments - you knew you were in a 5 star hotel. It was our 20th wedding anniversary & we arrived from Melbourne very early & when we checked in at 8am our room was ready. We went out to explore the city & when we returned there was a complementary bottle of champagne & chocolates with a card from Concierge congratulating us on our anniversary. As mentioned, everything is at your fingertips staying at the Crown complex. Apart from beautiful swimming pools & many restaurants & bars to choose from, Optus Stadium is a 10 min walk away & across the pedestrian bridge is the WACA ground & city. Even the racecourse is nearby. By the way, I haven't mentioned the Casino & that's because this resort complex is a destination by itself & the casino is a bonus. Thank you to the young lady who checked us in. What a great start to our anniversary! She was so happy and friendly and gave us a very nice room! Makes our stay even more pleasurable! Carvers as usual was great!, but the Epicuruim for breakfast was again out of the norm!! What a sensational place and 43 dollars is worth every cent! Just wish we could eat more (lol) Pool area was to die for in 41 degree heat, really happy heaps of staff were on for our drinks!! Actually won some money this time, which was a bonus! From the moment we walked our experience was exceptional. Staff were incredibly polite/kind/helpful. We were able to check in early and were given a upgrade to enjoy breakfast at the Atrium, we were aso sent a bottle of champagne and chocolates to our room complimentary as we were on our honeymoon which was lovely. We stayed in a Luxe King room and it was clean and spacious. Plenty of restaurants and bars in the Crown complex to enjoy. Pool area was large and enjoyable to use, plenty of day beds etc to lounge on! Food/drinks at pool restaurant good price. Easy to get into Perth, free shuttle from building to train station and less than 10mins on train to get to Perth CBD, can also walk 5 mins through car park to trainstation also (if you wanted). Highly recommend, we had an incredible stay. We just stayed here the afternoon before our midnight flight because it's only 15 minutes from the airport. The pool was great for the kids and the staff was very accommodating for my leg injury. We will definitely stay here again if we are flying through Perth. Was heaps of fun!! Bed was a little lumpy but the rest of the room was fantastic! Breakfast was delicious!! Fantastic! Check in was simple and easy, our bags taken up to our room for us. 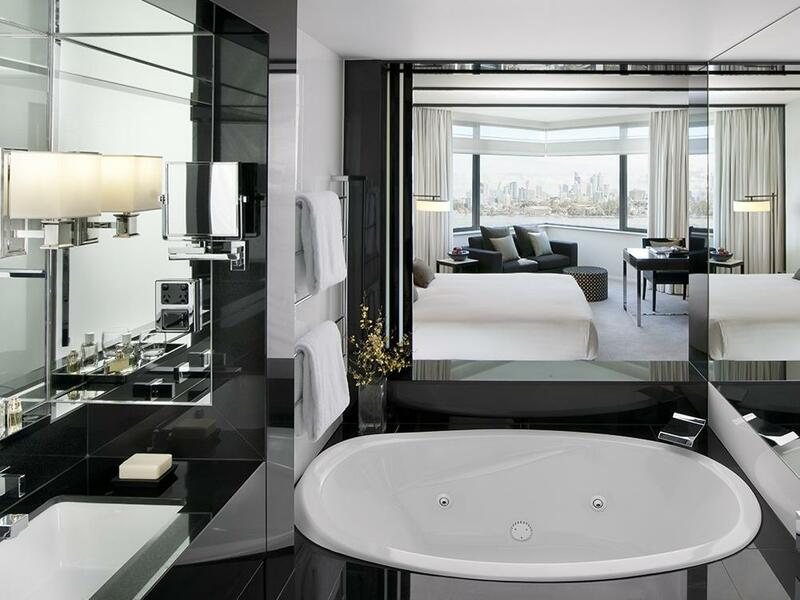 Big beautiful luxe king room. Big bathroom and a great view. Buffet breakfast at the atrium was amazing and with heaps of variety. Staff are very friendly I would suggest the lift system only allow the card holder to go to their room floor only, rather then any floor because some guess just walk in and press the floor after I tag the lift. Buffet breakfast is really good! Some sambal ikan bilis will be perfect rather then just a bowl of sambal. Since there is champagne for breakfast!i would suggest ice cream on waffle? The pool is really nice! Just that the private pool event is a bit noisy to other to relax. Overall is good! Will come back! Check in was fast, $200 deposit being taken on the spot, but did not return on the spot upon check out, ring up reservation informed it take 3 to 7 Businese day, can I pay my room 3 to 7 businese day after my stay? I know you need you need get secure but it has to be fair to customer too! I hope Crown can do a better system on this! 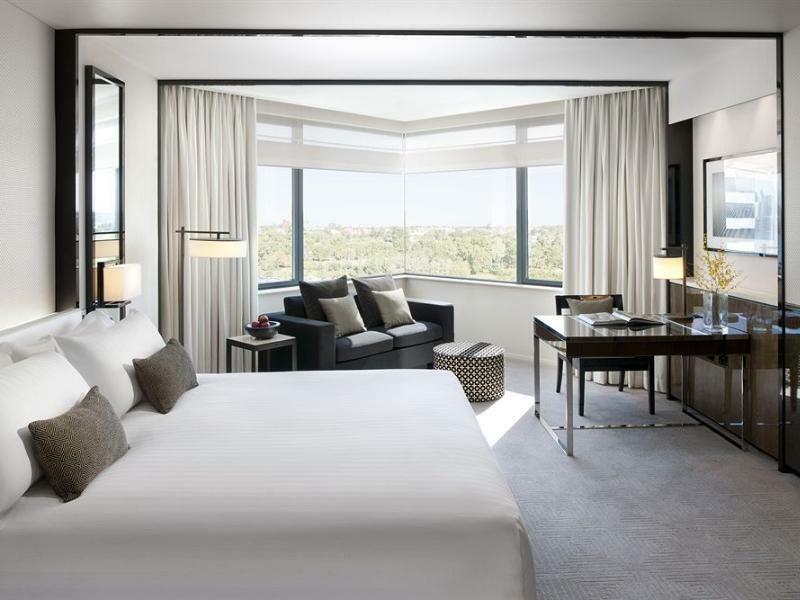 Once we arrived at Crown Metropol Perth we were not disappointed from front desk which was an easy check in to check out. Hotel room was very spacious (King View) and very clean. There are numerous restaurants in the hotel as well as the casino and restaurants within the casino. 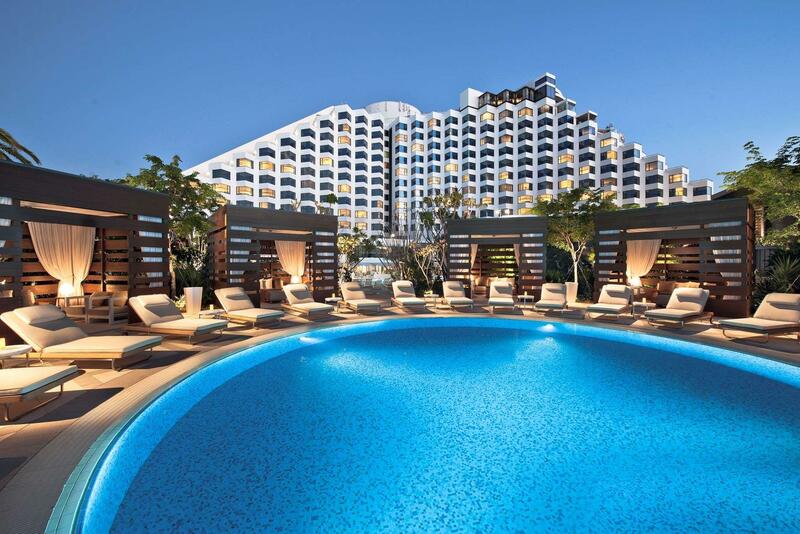 Pool is outstanding , you just have to go early as all lounge chairs get snapped up. There are Fig Lounge, Gazebo, Orbe lounge which can be hired on a half day morning or afternoon. Keep in mind carparking is not included in the hotel if you have a car to park there are four options $50 a day for Vallet , $25 a day if you park your car youurself , free open air carpark across the road or multi storey carpark which is part of the casino which also free. 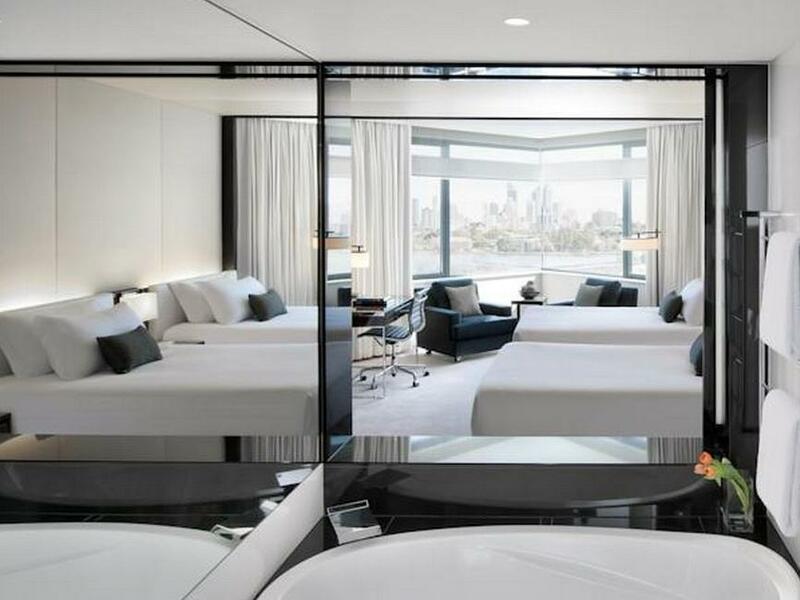 All in all I would definitely stay at Crown Metropol Perth again. Loved the ultra modern bathroom (with soaking tub) and amenities, and of course - the view! The gym facilities were comprehensive, and the pool area is a dream. We appreciated the little surprise of sparkling wine on ice for my birthday. This was unexpected but very welcome. To end the stay, we enjoyed breakfast at the Atrium restaurant. There was huge range of breakfast favourites on offer, all freshly prepared and delicious. The bed was super comfortable and overall we had a relaxing and very pleasant stay. Don’t get me wrong, it’s nice to stay on site where there are many restaurants ( but any cbd hotel offers this too) and the casino ( although we didn’t go), but the room rate does not provide value . Breakfast : $40 per person, a rip off when most hotels include an equal level of breakfast within their rate. This is made worse when the tea is overbrewed , and decaf coffee is Nescafé granules. .. want something decent to drink with your breakfast? Oh that’s an extra $4 :( Pool bar and grill: limited menu and enjoy drinking your soft drinks from disposable plastic cups ( bad for the environment AND that oh so luxe feeling of being treated like a toddler) .... crown - invest in some classy reusables!!! .... flimsy pool towels and pool tables missing balls. Rooms ok but the beds need replacing ... soft beds can be good ( when they are plush and soft) these just felt like old beds that needed to be replaced. ... pillows are uncomfortable, take your own! Location was a bit out of the way from Perth city however there is a shuttle bus which takes you into town. Facilities were good, however variety of onsite food options not as good as Melbourne. Would be good if they can tune down the lobby music especially at night as it can be heard from inside the rooms which face this area despite the high floors. Otherwise nice stay. This is the second time I've stayed in the same hotel. But this time, I'm very impressed by Betts service and her patience in going through the tour options, and providing me with endless suggestions. It was the raining season, and a lot of places were not easily accessible. I'm travelling with my parents and young child, and it is not easy without her assistance. She even painstakingly write out the areas I could go to, draw on the map on places of interest. She is definitely an awesome staff! And the only 1 I've met in all my travels to go to such extent. Thank you Betts, you've definitely made our trip more worthwhile. Modern, spacious room and friendly staff. Baby cot and some baby esentials were provided for my toddler FOC. Free covered parking at the multi-storey carpark about 3-4mins walk. Only drawback was the bed being too soft, and sagging at the edges. Definitely needs replacement.